Αποκατάσταση της υγείας παραπληγικών, ατόμων με σοβαρές βλάβες στην κινητικότητα, όπως θυμάτων εγκεφαλικού επεισοδίου, τροχαίου ατυχήματος κλπ. 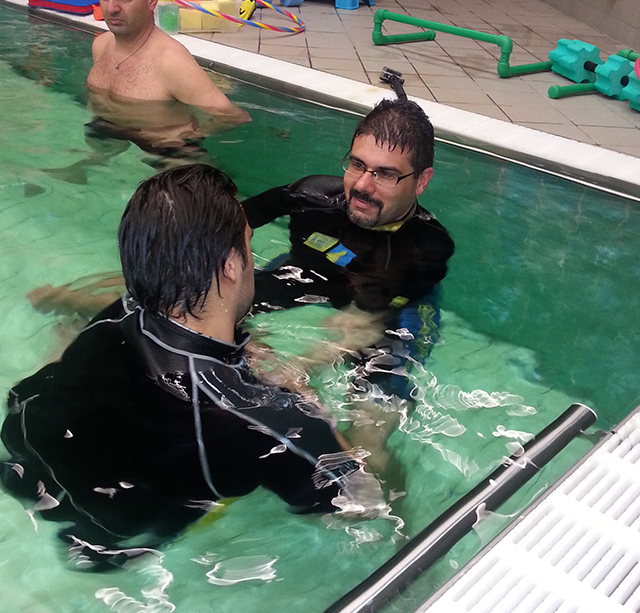 Aquatic physical therapy is primarily focused on exercise in water but also includes hands-on techniques. It can include some of the methods mentioned underneath, it can also include joint mobilizing or stretching techniques or other passive relaxation techniques, it can also include gait or postural re-education. All techniques can be combined depending on the individual’s goals. In order to achieve specific physical or functional goals, aquatic physical therapists can choose a number of concepts (methods or techniques). Well-known concepts from Europe are The Halliwick Concept (1949) or the Bad Ragaz Ring Method (1955). The USA has given us Deep Water Running or Aquajogging (1970) and Watsu (early 1980s). More recently, Ai Chi has been developed in Japan (1993). 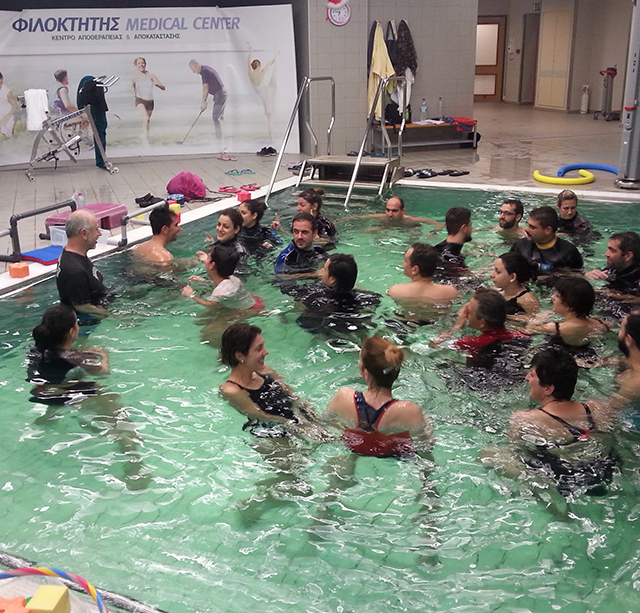 The reason for the choice to give a short descriptionof these concepts is the availability of courses, information on the internet and the choice of editors of recent American textbooks on aquatic therapy to include these concepts in their books.